Depression is a mental illness that doesn’t just affect one person. If you have a loved one who suffers from depression, there’s a good chance that their illness has rippled out and affected you in some way as well. Many people who are close to someone with depression start to feel helpless and at a loss of how to be supportive of their loved one. In today’s post, we will discuss a few ways that you can help someone who is suffering from depression. 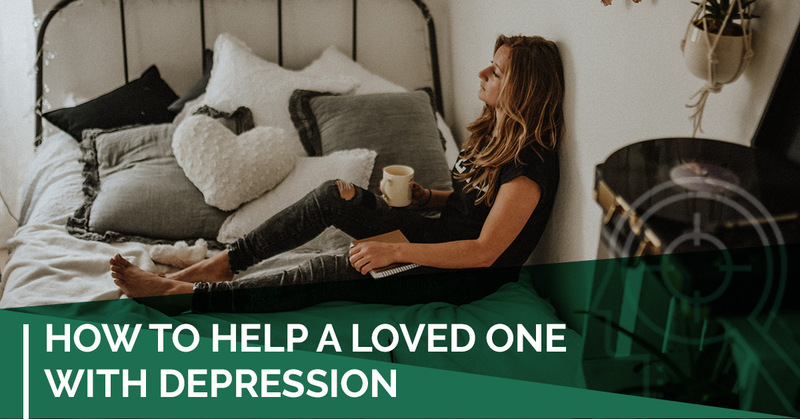 If you have a loved one who is suffering from depression, one way you can show them support is to encourage them to seek out the help that they need from a professional. Dr. Eliana Cohen Psychology is proud to provide counseling and therapy services for those in the Toronto area. Whether you’re in need of counseling or therapy for you or a loved one, we can help you find the help that you need. Dr. Cohen and her associates specialize in a wide variety of counseling and therapy services, including mental health issues, family counseling, couples counseling, and more. Browse our website to learn more and contact Dr. Eliana Cohen Psychology to schedule an appointment today. The first thing you can do to help your friend or loved one cope with depression is to educate yourself. By doing research and educating yourself on the mental illness itself, you will have a better chance of understanding what your loved one is going through. That being said, how you deal with depression and how depression affects you is different for everyone. Research will help you understand the underlying foundation of depression, but in order to fully understand what your loved one is experiencing, you will need to ask questions. Those suffering from depression are often hesitant to express their feelings for fear of judgment or being viewed differently or as fragile. If you want to truly understand what your loved one is going through, you will need to ask them questions about how they feel and what they are feeling. Your friend or family member may be hesitant to speak, but the best thing you can do is listen to what they say and assure them that you are there for them at all times. As we mentioned above, everyone experiences depression differently, which means that different people probably find support in a variety of different ways. For example, one person may just want you to sit with them and physically support them, while another person may find comfort in talking through their problems. If you want to help your loved one, the best thing you can do is ask them how they want you to help. The old saying goes, “Laughter is the best medicine.” This saying rings true for many different situations, and helping a loved one with depression is no exception. Laughter is one of the best things to help you combat a number of different illnesses. If you have a loved one suffering from depression, listen to their problems, but also try to help them laugh or at least smile. Finding the humor in things will help ease the panic and fear, as well as provide a distraction. Listening is one of the most important things you can do to support a friend or family member that is suffering from depression. In many cases, it can be difficult to know what to say when speaking to your loved one, which is why listening is always a great option. When trying to help your loved one, your first instinct may be to give advice. Even if you’ve completed research about depression, it is still difficult to understand exactly what your loved one is experiencing, and your advice may be more harmful than helpful. Depression has a ripple effect, and it may be difficult to help your loved one on your own. Instead of becoming overwhelmed, try encouraging your loved one to seek help through a support group or therapy. Trained professionals are better equipped to guide your loved one through the darkness of depression, and a support group offers the viewpoints of others who are going through a similar experience. At Dr. Eliana Cohen Psychology, we offer a variety of counseling and therapy services to those in the Toronto area. If you’re seeking therapy as a way to help your loved one cope with depression, contact Dr. Cohen to schedule an appointment today.